The ability to speak in public and communicate professionally are essential business skills. 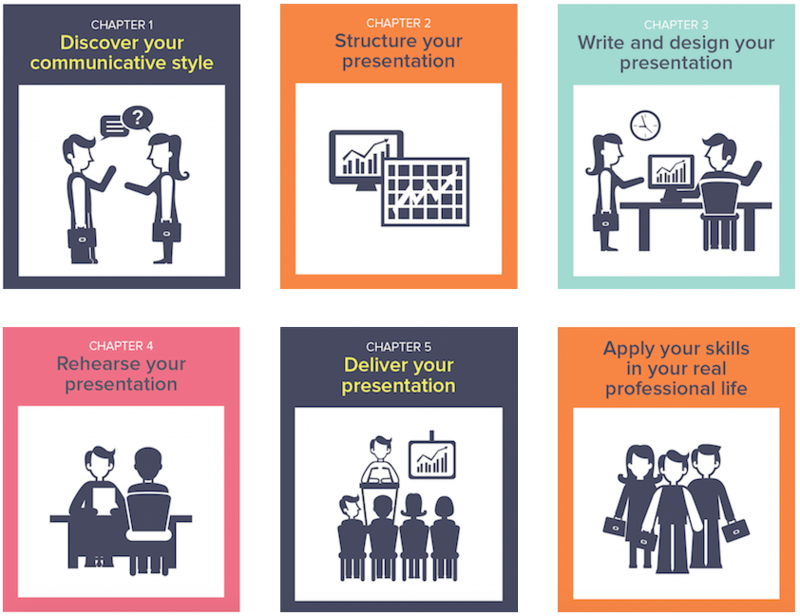 This course provides you with the techniques and resources you need to prepare and deliver convincing, persuasive and effective presentations. Do you get nervous before presentations? Do you want to learn how to convince your audience of your ideas and arguments? 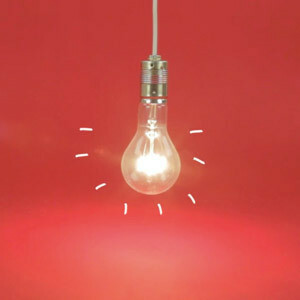 When communicating ideas to others, you have to be persuasive and confident and it is important that you understand your audience and can adapt to the situation. Speeches and presentations in the business world are no different. Your career depends on you being able to positively present yourself, whether in a meeting or at a conference. However, public speaking doesn't have to be scary, it can even be fun and you can excel at it by applying the right skills and techniques. We will analyse famous speeches, those of politicians and entrepreneurs, to identify their successful approaches as well as weak spots, incorporating these learnings in our own presentations in an interactive and fun way. 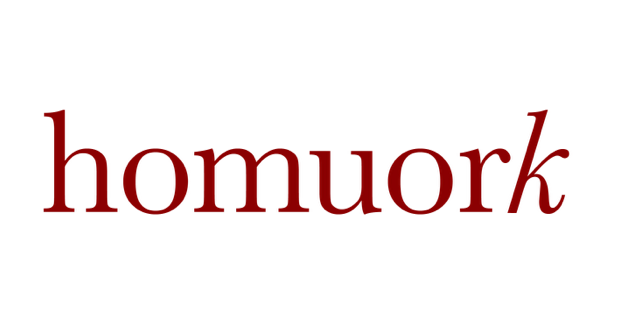 Experienced coach and lecturer, Alexandra Maratchi (Homuork CEO) will lead the course, guiding you through a variety of techniques to help prepare, structure, rehearse and deliver a great speech. Presentation Skills for Business is a course developed by Homuork in collaboration with professor Joan Francesc Cánovas from Universitat Pompeu Fabra (UPF) in Barcelona and other international Public Speaking experts who share their research and insider tips, illustrate effective techniques and ensure you get a well-rounded view of the success factors in public speaking. The course enables you to learn the essential skills to enhance their presentations and become confident and persuasive while presenting. In addition to taking the course and exchanging with peers, you will develop an understanding of different communication styles and subsequently apply them to daily conversations. In addition, this course is self-paced, which means that it offers flexible time management. With a workload of 12-16 hours, the suggested course length is about 5 weeks. If you can’t spare 2-3 hours a week or would rather finish the course faster, you can do so as well. Take as little or as much time as you need and complete the course at your own pace. 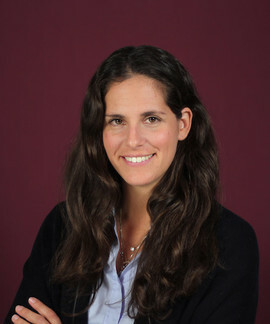 Alexandra co-founded the edtech venture Homuork. She is moved by the conviction that a better learning experience in company training is possible and much needed. She has previously worked in multinational companies in different European countries, ensuring an in-depth understanding of the needs of and dynamics within companies. She is an expert in open and innovative education. She constantly works to apply these learnings to the businesses’ idiosyncrasy, which is why she decided to lead this online professional development course. She is an Assistant Professor to both the Corporate Strategy and the Innovation Department at ESADE Business School. She also lectures for the CEMS Master in Management. Xavier studied Politics and journalism. He worked for several years as a news correspondent in Paris until, eager to use his skills to improve users online experiences, he co-founded the edtech venture Homourk. His background as editor of various magazines in audiovisual arts and economics allowed him to manage the production of this online PD course, supervise its structure and design it in a way that will maximise your experience.